One of our British guest cheeses. 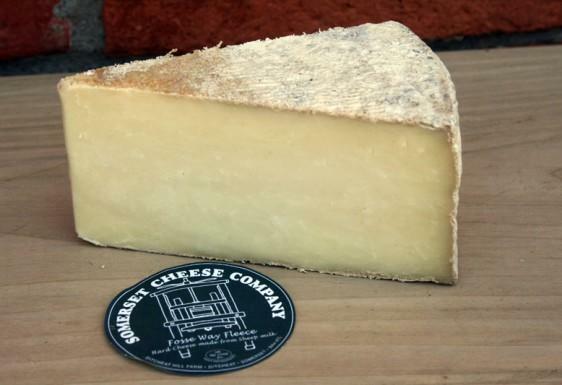 Made by the Somerset Cheese Company from pasteurised sheep’s milk. This cheese has a fresh clean taste leaving a mellow afterglow. Fosse Way Fleece Sheeps Cheese takes its name from the old Roman 'Fosse Way Road' that runs close to the village of Ditcheat where the dairy is situated. Protein 23.7g. Salt 1.7g. Energy 1547Kj, 373Kcal. Fat 30g, of which saturates 15.9g. Carbohydrate 2g, of which Sugars<0.1g.